Please note this is a 2 year AS Course. Core Mathematics (Level 3 Mathematical Studies) is a relatively new qualification which has been set up to encourage more students to study some form of mathematics beyond GCSE. It has been designed to maintain and develop real-life mathematics skills. What you study is not purely theoretical or abstract; it can be applied on a day-to-day basis in work, study or life and most courses will include a financial mathematics element. It is worth the equivalent of an AS-Level qualification. Core Mathematics is aimed at students who have achieved at least a grade 5 in their Mathematics GCSE, and have studied the Higher tier. 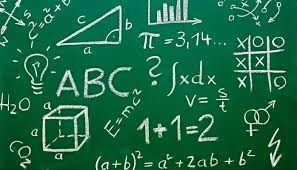 Students who do not take A-Level Mathematics, but choose other A-Levels with a substantial mathematical requirement would greatly benefit from studying the course – in particular it would support the Sciences, Geography, Business Studies, Psychology and Economics.